The Kenyan Police have arrested 33 Nigerians for illegal migration, while pursuing leads on an incident in which drugs are being sent from Nairobi to others parts of the world. The 33 Nigerians who were arrested by the Kenyan Police on Thursday, April 11, 2019, at Kasarani, had allegedly been posing illegally as students of International University-Africa (USIU) and Kenyatta University (KU). The suspects were also accused of operating businesses “with the intention of selling drugs”. 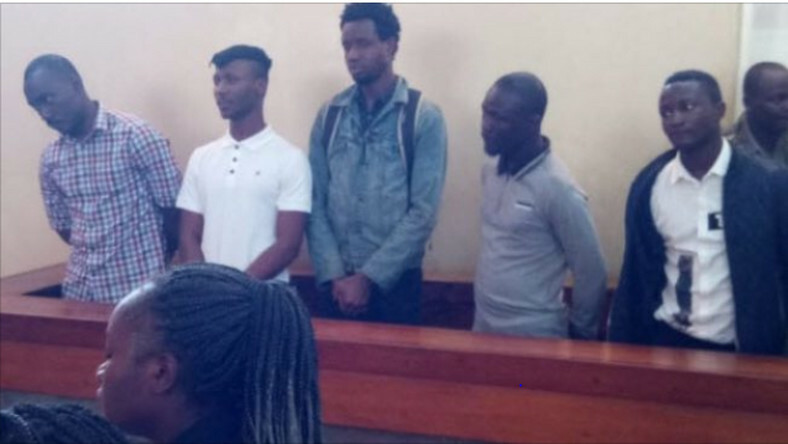 He said, “When they arrived they declared they were students at the universities but our investigations have shown they are in other illegal businesses.”He further disclosed that the suspects have been taken to Kiambu law courts, near Kiambu police station, as officials process their deportation papers.